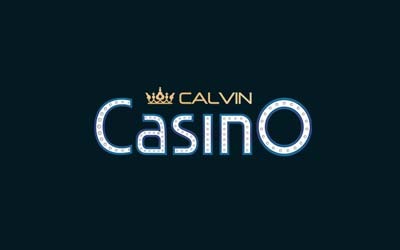 Why should you play at Calvin Casino? At Calvin casino you will get a range of games thanks to their partnerships with multiple software providers. Some of the games that you’ll get are HD video slots, table games like blackjack, video poker games, live casino games like roulette and card games in a myriad of more. You should play at the casino thanks to the multiple promotions availed to the players. These promotions are delivered in the form of welcome bonuses upon registration, free spins, cashback bonuses, and reload bonuses. Calvin Casino has done a lot in making sure that their players get comfortable when it comes to entertainment. This is evident with the collaborations they have made with software operators who are iSoftBet, Endorphina, Playson, Net Entertainment, Microgaming, Games OS, Mr Slotty, and Pragmatic Play. You will come across some interesting slot games thanks to the above mentioned games’ providers. They include 7 monkeys, Aladdins Treasure, Forest mania, Flowers, Shaolin Spin, The Love Guru, Gonzo’s Quest, Ultimate Super Reels, Starburst, Dead or Alive, Hockey league and Lady of the Moon in a myriad of more. Why should you be part of Calvin Casino Partners Network? The team behind this program is ambitious and the aim here is to grow your profits and this is the reason they offer 50% revenue share without negative carryovers. They will remain trustworthy to you when you choose to work with them. They know how important trust is and the reason they will assign a manager to work with you and you will be able to access 7-days customer support via skype or email. More to the player 50% revenue share commission, you will also get a sub-affiliate commission of 10% and this will be determined by your referral’s performance. If you are not a fan of the revenue share commission plan, you can go for the cost per acquisition plan where you can get as much as €250 for every player you acquire. ← How dangerous or risky will it be if you buy traffic?